The best part about the Gemaeldegalerie is its wide range of paintings dating from different eras as well as countries. The gallery has a wide range of collection dating from the 13th to the 18th Century. Some of the best paintings are German, Italian as well as from a lot of other places. Even though the inner constituents of the Gallery are remarkable and a visual treat to a different level, even the outer architecture matches up to the standards of what it houses. 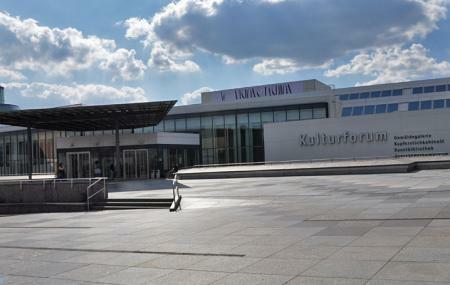 Kulturforum has the maximum number of paintings that are a part of this prestigious collection. For every art lover, this is a heaven as it has works from Raphael, Titian, Caravaggio, Rembrandt, Jan Vermeer van Delft, Peter Paul Rubens, Albrecht Dürer, Pieter Bruegel and Jan van Eyck. Last admission and ticket sales 30 minutes before closing time. Please refer to the official website for library timings as well as working hours on holidays. People normally club together Topography Of Terror and Victory Column while planning their visit to Gemaldegalerie. Truly beautiful and so much to see. The building is like a labirinth. If you're an art lover, especially paintings then this will be great to see. One of the most beautiful painting collections in the world, carefully selected at the end of the nineteenth century. A pure delight, which can be enjoyed comfortably and quietly as the tourist hordes do not usually make it to here. We came to Gemäldegalerie for the Mantegna versus Bellini exposition. It was absolutely great, there are very famous masterworks to see. The exposition will stay until June 30. Amazing museum! Really huge though, we spent 6 hours. Lockers are free. So are audio guiding systems. Really interesting artworks. It's a bit chilly inside. Cafeteria is a bit expensive but nice. Really cool souvenir shop inside.